New owners have taken over the lease at the upstairs Chinese restaurant at the Italian Club in Forrest. It seems that the previous owners didn’t come back after Christmas? 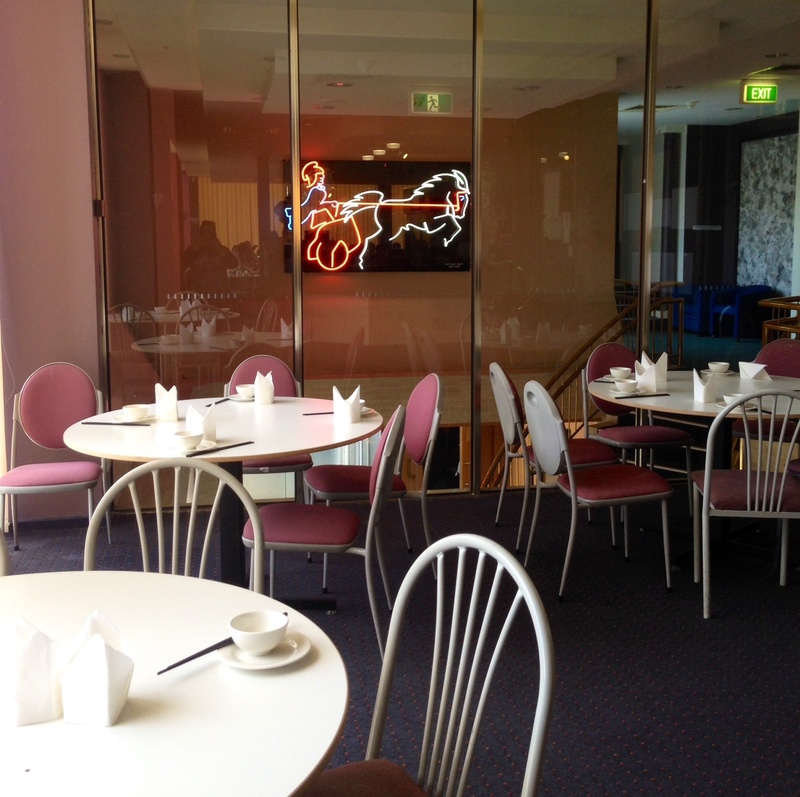 The new people have decided that a yum cha set up was going to be the most appropriate, considering the clientele is mostly public servants. And they’re correct. I saw more people in the restaurant on Friday, then I’ve seen in the previous 4 times over the last 2 years. Seems they’re on a winner. 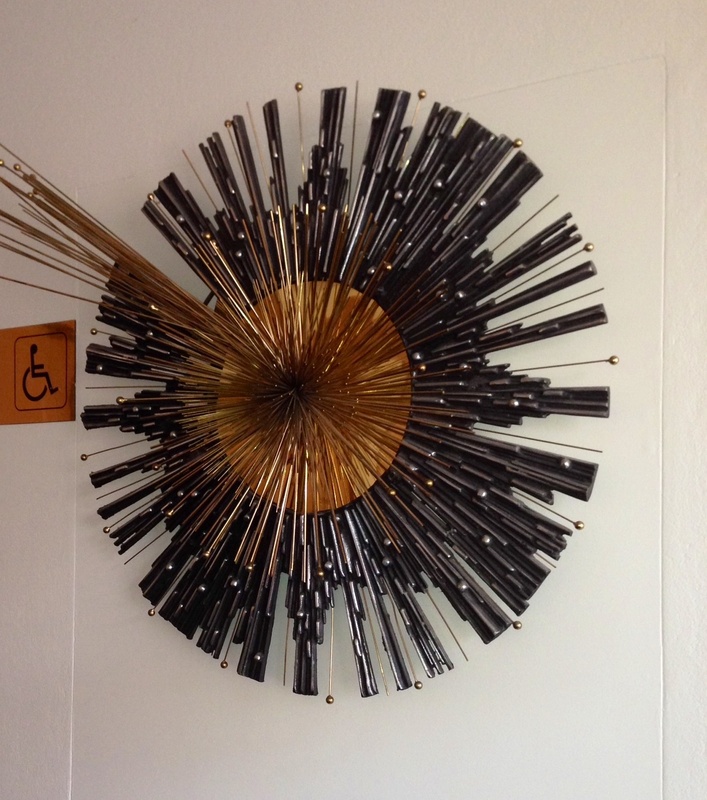 Love a bit of neon in an Italian Club’s Chinese restaurant. 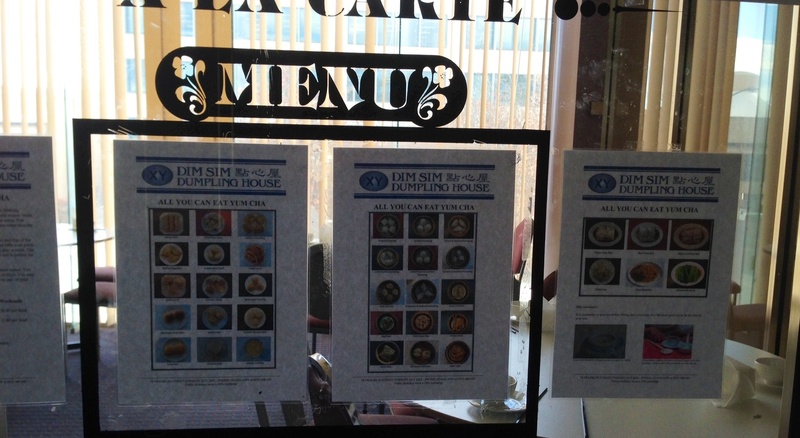 Here’s a tip for the uninitiated, though, ask to look at the menu, or take a good gander at the window when you mosey on in. My group of 3 didn’t, and we were blessed with 8 baskets of steamed dumplings and 2 fried items. 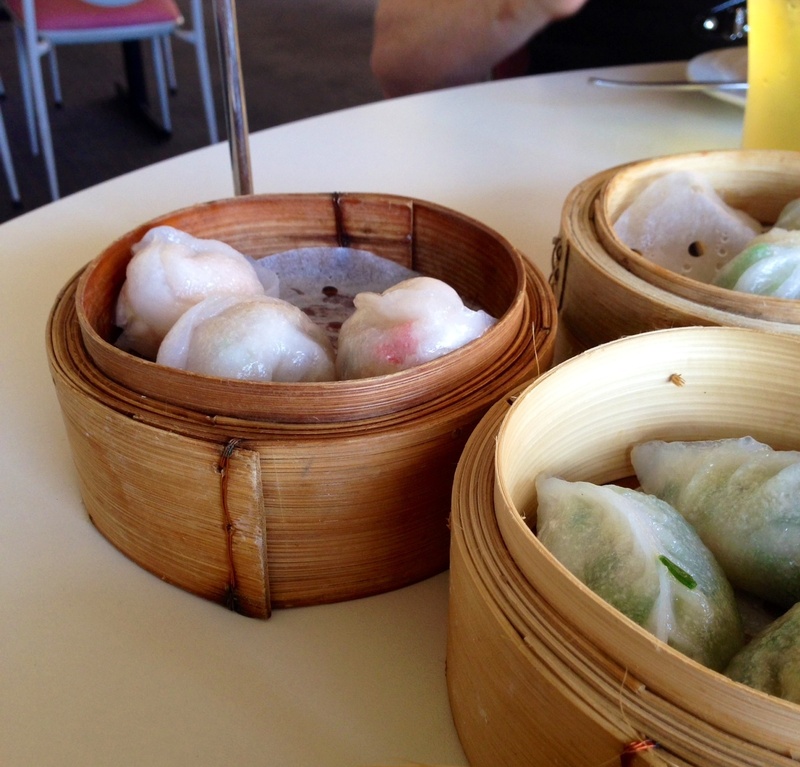 Which is fine if you love steamed dumplings more than life itself. Me, I like to mix it up a little and was so disappointed that I didn’t get to try the fried lobster dumplings. 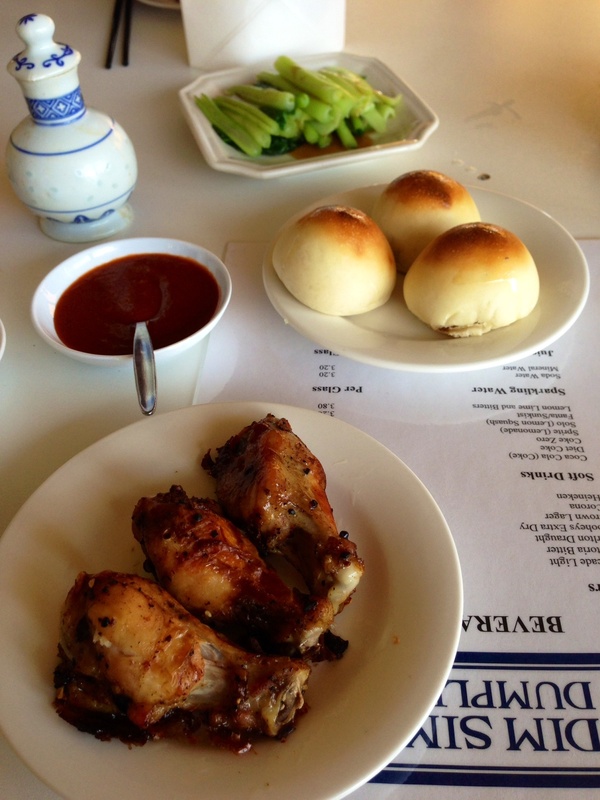 First up were the chicken wings, BBQ buns and veggies in oyster sauce. 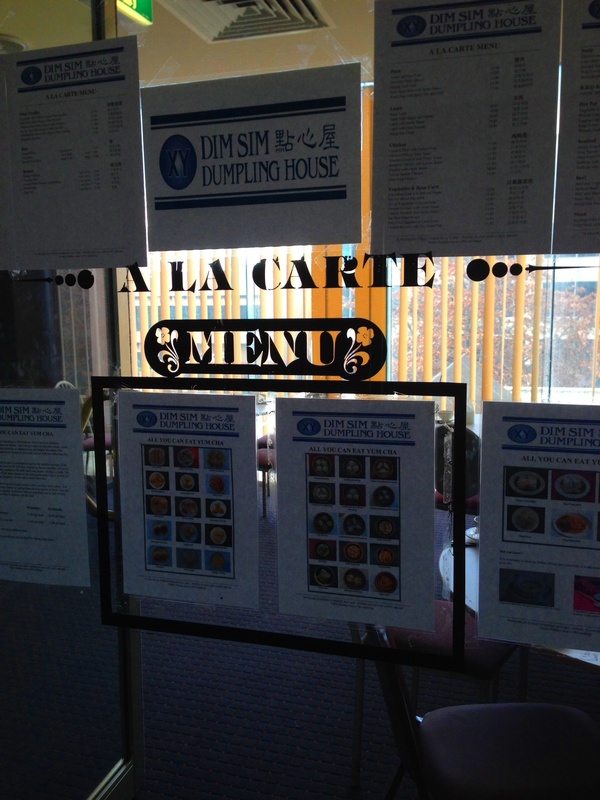 Pretty standard fare, nothing amazing, but tasty when you’re hungry for yum cha. To be honest with you, the next lot of baskets were a blur. A steamed seafood and other ingredients dumpling blur. I didn’t take photos of everything, I lost count, and was too busy stuffing my face. They were hot, tasty, seafoody and moreish. Prawns, crabs, coriander, ginger, spinach, corn, carrots, garlic chives. It all tasted great, even if I can’t recall which was which. 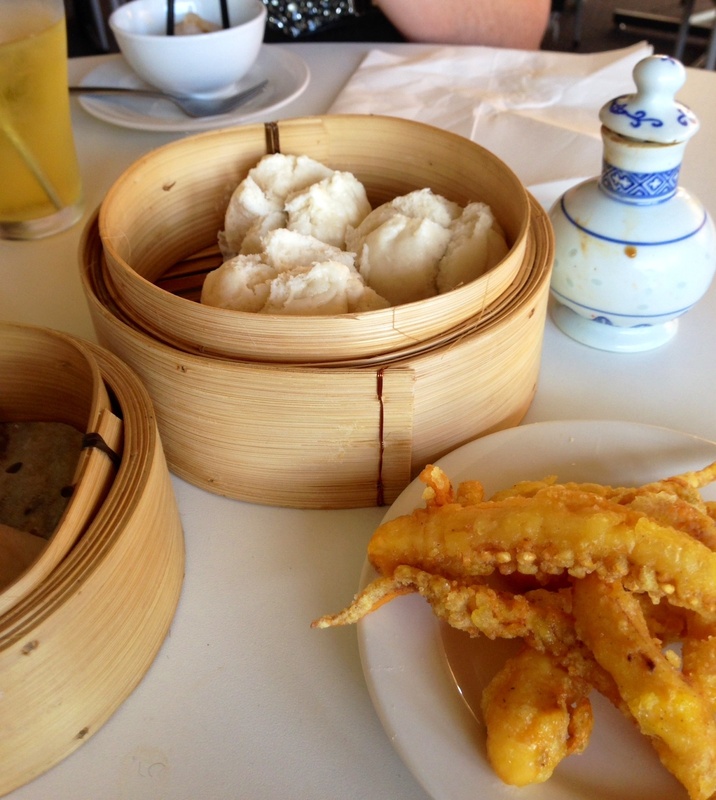 I’m not a yum cha connoisseur, so have no clue as to what is fabulous yum cha, and what’s not. All I know, is that most of it was tasty. These were particularly good. 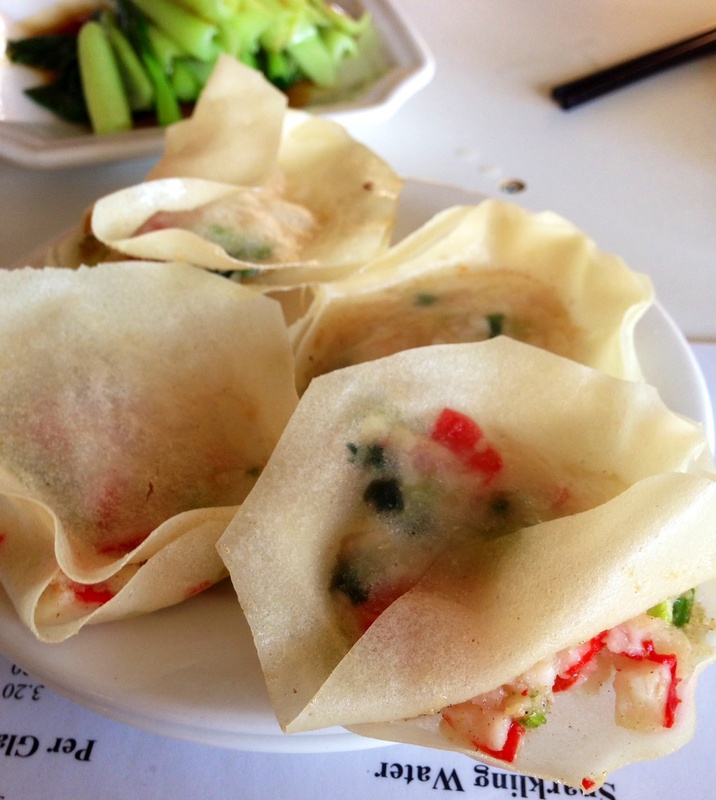 Very, very hot fried crab wontons. A bit oily, as they were fresh outta the wok. With some chilli and soy, they were my second favourite. These were my fav, by far. 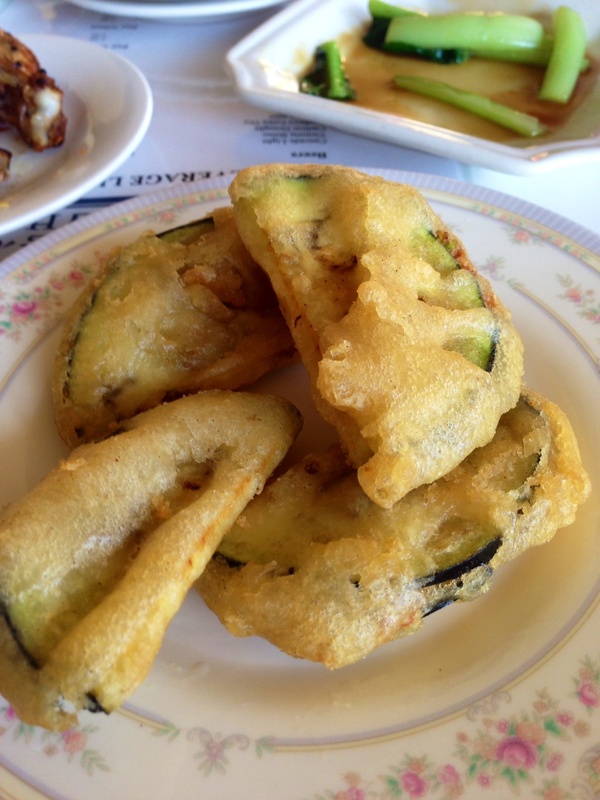 Eggplants, deep fried with a stuffing of corn, coriander and crab or prawns, not sure. Whatever they were stuffed with, they were divine! Hot, salty, soft and luscious eggplant, with a bite owing to the corn and coriander stalks. You could be mistaken in thinking they were fatty, or oily from the deep frying, but it’s just the juicy eggplant, cooked to perfection. How depressing there were only 4, I should’ve asked for another plate of them. I’ve learnt for next time. The octopus tentacles were by far, the worst thing to come out. Which is a real shame as this is usually a dish I really enjoy. They were big and tough as leather. It was like chewing through a fat rubber band. They crunched when bitten and not in a good, deep fried kinda way, in a I think I’ve cracked a tooth, kinda way. I passed on my feedback to the waitress. Politely of course. I don’t like steamed BBQ pork buns, so didn’t eat them. My dining companions enjoyed these though. 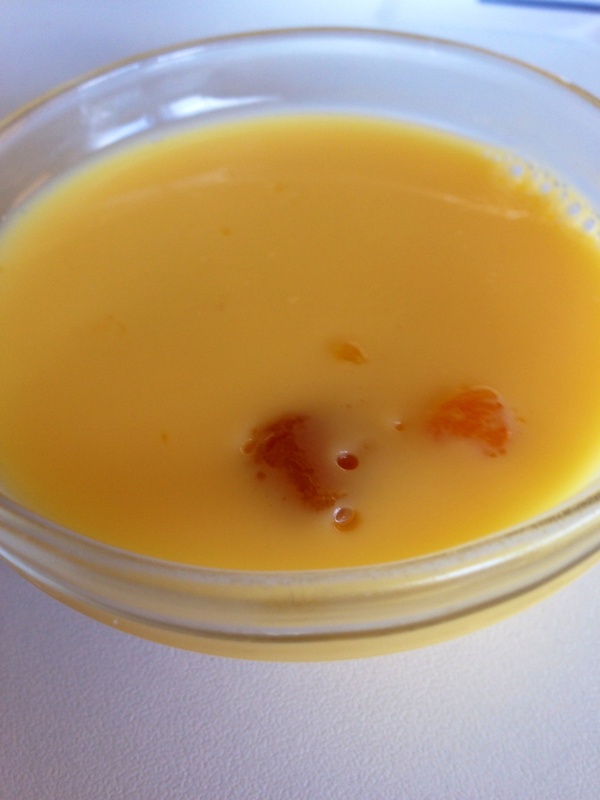 A simple mango pudding for dessert. There was also a coconut jelly but I was stuffed to the gills already. I asked for the remaining pots of dumplings to be packed up so I could take them home, which was fine, but there was a $6 charge for that. 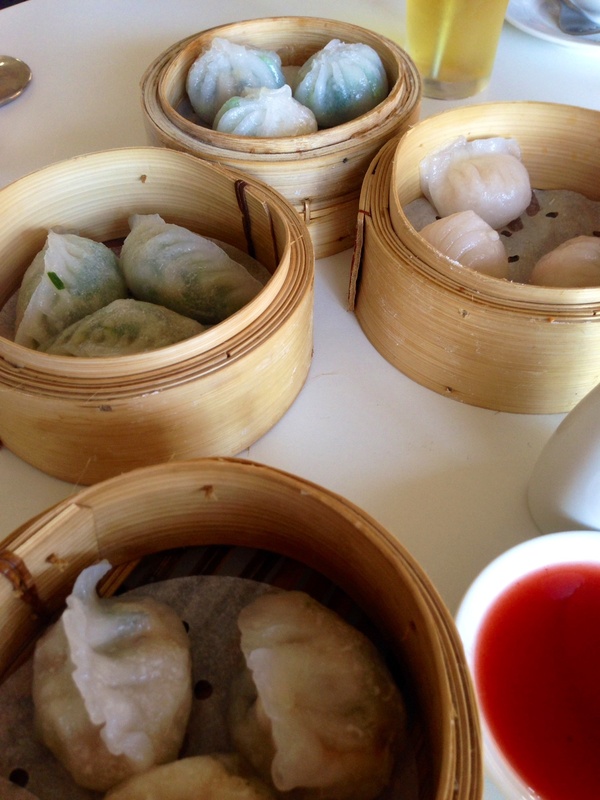 As its all you can eat yum cha for $18.80 they charge extra if there are left overs and you wish to take them home. Which is sensible, as it means that people won’t come in and continue receiving dishes and take the extra lot home for dinner. The service was pleasant and waitresses always smiling, especially the older lady, who was willing to please all her guests. The restaurant was packed with many other Asians, so you know it’s going to be good and authentic, we were in and rolled out within the hour, so perfect for a quick lunch break.